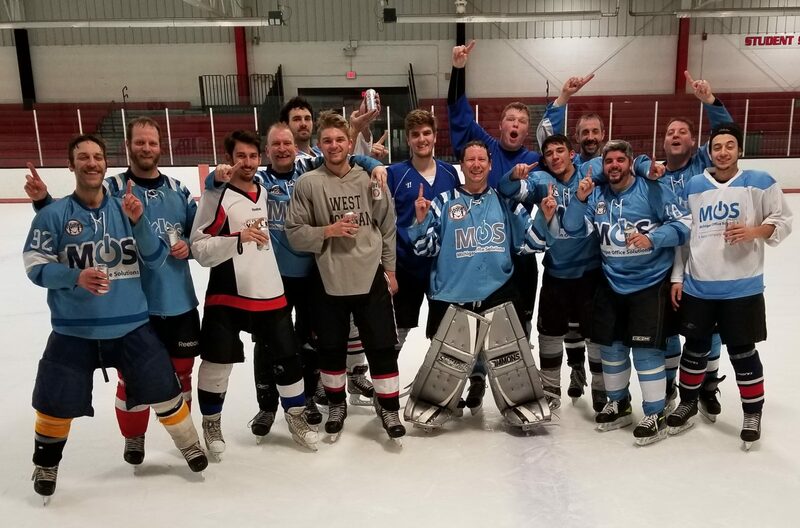 At the beginning of the season before I played my first game for Howies Hockey Tape, I expected we would win most of our games and win the championship. Two games into the season, we started 0-2 and I was just hoping to do well in playoffs. After going 2-1 in the playoff round robin, I was just hoping to get into the final game. With the finals done, and Howies winning 10-4, I have claimed my 19th divisional championship. The season was not without its challenges though. All season, I feel that I was trying to live up to expectations. I wanted to play better than their main goalie did. I thought that I would have one season to really outdo him. I expected that I would march through the regular season and into the playoffs as the #1 seed. As it turns out, I didn’t play very well all season. I allowed 71 goals in 10 games, which is about 7 goals per game. The stats say I finished with a .755 save percentage which was also an awful stat for rollerhockey. While the season did end the way I wanted it to, it has been a very long season for me. I just did not live up to my performing standards. A lot of that had to do with the 4 weeks I was playing horrible last month. The championship game was closer than the score may have looked. The Phantoms had a 4-3 lead at one point in the 2nd period. They took advantage of our defensive breakdowns while we shot away on their goaltender and just had fits trying to score. Howies then switched over to play more defensively and be aggressive on D. That worked wonders as I didn’t give up a goal for the rest of the game. The Phantoms goalie was subject to a lot of shots, and I could even tell his confidence seemed a little shaky. The Phantoms defense really started to go back a lot more and be aggressive a lot less as the game wore on. All in all, it was just a dominating performance by Howies. They passed better, they worked harder, and they wanted the game more than the Phantoms did. It feels good to beat the Phantoms again. They had my number a few times during the season. They had my number in the round robin playoff. They didn’t have an answer for Howies in the finals though. As for me, I felt like I was just along for the ride. I came up with some good saves, but I didn’t make any huge stops that were game saving. My one season stint with Howies is over, but I am happy that the season ended the way it did. It ended with us in the winners circle and me 1 championship shy of 20. If I do miss the Rivertown playoffs this season, which it does look like will happen, I will still feel empty but it won’t be a total loss. To rebound and come up with a victory in a playoff game today really boosts my confidence.